I remember the first time I heard “Bohemian Rhapsody” by Queen. I was in my bedroom with the radio under the covers. Some FM stations come in much better at night than they do in the daytime. It was probably 1 in the morning. I was switching through the FM channels and I heard it. It had so many different rhythms to it. Some was like opera and some was like rock. It amazed me, the talent of the lead singer, who I later learned was named Freddie Mercury. 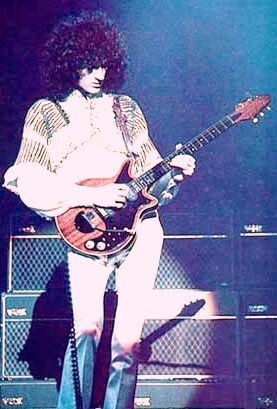 I learned that the lead guitarist was named Brian May — and I named my first car Brian May, like it was a person. The song went on to become a big hit in the late 70’s. It was just so different than any other song before it. I remember listening to the radio Friday, Saturday and Sunday nights on my first FM radio. I played it very low so that my parents couldn’t hear it. Their bedroom was down the hall so I don’t think they ever heard it. I enjoyed playing the radio at night, under the blankets. It gave me a feeling of independence from my parents. It was a world that they did not know about and it only belonged to me. It was my own private world.